Z-Ben Advisors actively recruits passionate, open-minded, and accomplished people from around the world. Please send your CV together with a cover letter to careers@z-ben.com if you would like to join this international and exciting company. 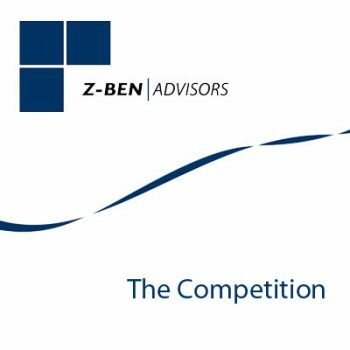 Z-Ben Advisors is a Shanghai-based research and advisory firm, focusing on China’s investment management industry. We work with top-tier global asset managers, and provide strategic advice, market intelligence, data analytics, and more, to ensure our clients capitalize on the enormous opportunity in China. We are currently accepting applications for the position of Analyst. You’ll work in team of research. When you join ZBA as an Analyst, you are joining a firm that will challenge you and invest in your professional development. In this role you will work on the best teams to help the outstanding organizations in the world – in private, public, and social sectors – solve their difficult problems. You will also work with many experts across the departments. Those best-positioned to succeed at Z-Ben Advisors will have a self-starting personality and entrepreneurial disposition. Z-Ben Advisors is committed to the growth of its employees through training and internal advancement opportunities uncommon at other firms. The international asset management space in China is fast-paced, demanding and competitive, so please do not apply if you are not serious or passionate about the role. Only top candidates will be chosen for the first round of interviews. All activities are conducted in a professional manner. Central to this is ensuring that all dealings are done in a respectful manner either with internal colleagues or external parties. This is to also include being mindful of other’s schedules, tasks and priorities. In addition, professionalism is a reflection of personal presentation. Standard business attire both in the office and in external business events is required. Central to every role in the company is the proper time and utility management of a regular work schedule. While this includes meeting attendance and hitting deadlines, all employees are required to follow advance planning protocol.